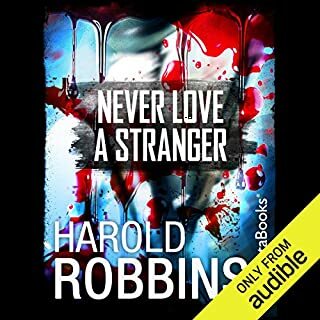 Never Love a Stranger, still considered one of Robbins' most powerful books, tells the story of Francis "Frankie" Kane, an orphan growing up in the dirty world of New York's Hell's Kitchen. After being kicked out of a Catholic orphanage when it is discovered that he is of Jewish descent, a confused and deeply distraught Frankie turns to a life of crime, the only life he knows, and he's good at it. thoroughly enjoyed the book! first time listening to a Harold Robbins book and thought it was great. Took me 3 days to finish it.